The Bachelor of ICT : This new CHE-accredited Degree offering in BICT is offered for the first time in 2019. The department may accept a limited number of students into the second or third year of study, who’s BICT Programme aligns with the University, subject to availability of space. The Diploma in ICT in Applications Development: The CHE-accredited Diploma offering in ICT (Applications Development) commenced in 2016. An augmented 4-year curriculum is devised in order to enhance student development and to improve the student’s chances of successful completion. The department may accept a limited number of students into the second or third year of study, who’s ICT Programme aligns with the University, subject to availability of space. The Diploma in ICT in Applications Development (4 year Foundation) is an augmented 4-year curriculum devised to enhance the student development and to improve the student’s chances of successful completion. Doctor of Philosophy in Information Technology (PhD). This department is a trailblazer and is proud to be the first department of the institution to offer access to and support for Deaf students registered for the National Diploma in Information Technology. Access was first granted to the Deaf students in 2000. 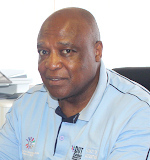 The department has 3 staff dedicated to assisting Deaf students in all spheres of their student life: a Co-ordinator of the Programme and two South African Sign Language Interpreters. To date, approximately 18 students have graduated with their Diplomas in IT and in 2017 the first Deaf student completed the Bachelor of Technology in Information Technology. Deaf students who wish to register for the Diploma in ICT (Applications Development) must meet the requirements for the 4-year Foundation programme as listed in the handbook. Interpreters help to ensure that students are exposed to the same academic material and assessments as the mainstream students and that standards remain high. Mr Cassim Vanker receiving Faculty Award for teaching excellence with Prof Bawa. 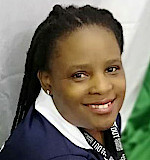 The appointment of Dr P Mtshali, the HoD of IT will act as the Director of ITSS. Dr Alveen Singh will be recommended for consideration as the acting HoD to work closely with Dr Mtshali in order to enable him perform optimally within the period of the secondment.